Quiet, affordable, and environmentally friendly. 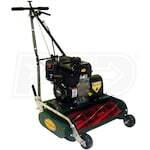 If you’ve made it here, then you know that reel lawn mowers have a lot to offer. So, we’re here to offer you a convenient way to select the right one. Below you’ll find lists of the best-selling, top-rated, and expert-recommended reel lawn mowers on Mowers Direct. If you need more help choosing, there’s always our Reel Lawn Mower Buyer’s Guide. 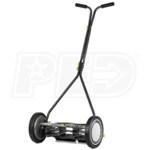 Get a real deal on a reel mower by browsing our lists below! 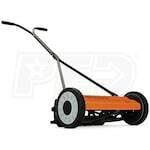 Best Reel Lawn Mowers.. Our Power Equipment Direct how-to library can help you learn about How to Fertilize Your Lawn, Vote for Your Favorite Brands in Mower Madness 2019 and Official Mower Madness Contest Rules.